THIS Parish is situated in a charming part of Sussex, eight miles north of Cuckfield and seven miles west of East Grinstead, near the main Forest Ridge which borders the forests of Forth, Tilgate, and Balcombe, and was formerly a centre of the Sussex iron trade. The Church is famous for having preserved its Saxon cruciform foundations, and is rich in points of interest and antiquity. 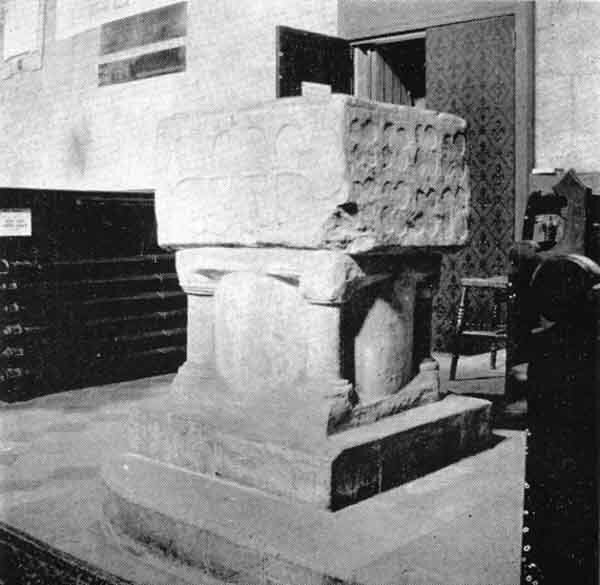 The font is curious, consisting of a square stone bowl of 12th century date, bearing some ornamental decoration which is placed upon what doubtless was the font in earlier days.